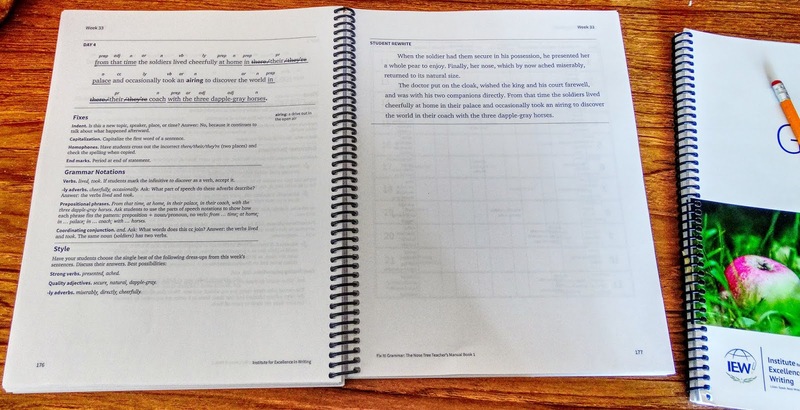 We received physical copies of the spiral bound Teacher's Manual and Student Books. Within the Teacher's Manual, there are download links to include the ability to download the Student Book. IEW also provides a couple of different webinars including an introduction by Andrew Pudewa and an Introduction to Fix It! 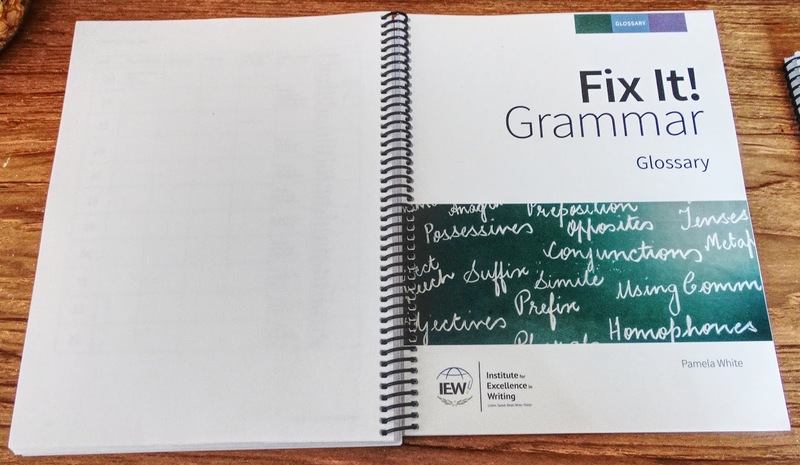 Grammar Webinar that are helpful if new to IEW. I have to note how annoying non-spiral bound books are since you have to constantly battle keeping your place. Spiral bound books make it so easy to keep the page open and to easily find where you were working from by just flipping the pages over. I cannot stress enough how wonderful that simple feature is that IEW provides spiral bounded books! Note: If you purchase the Teacher's Manual, you can print a copy of the Student Book via a link provided with the Manual. 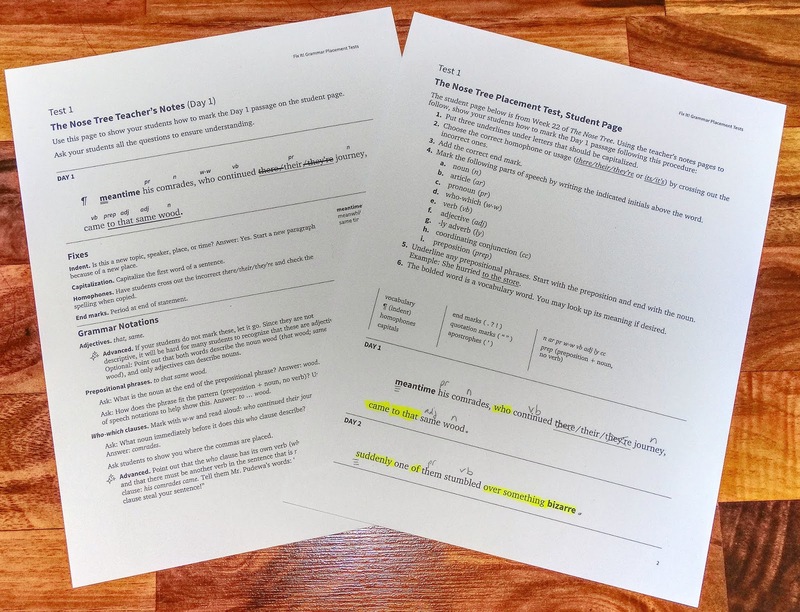 This method will require a student to have a two-pocket notebook with three-hole fasteners to store the student pages and the Glossary pages. The Fix It! Grammar program only requires four days a week for around 15 minutes making it very manageable even for the easily bored student like I have. It is intended to take 33 weeks to complete the instruction and practice. 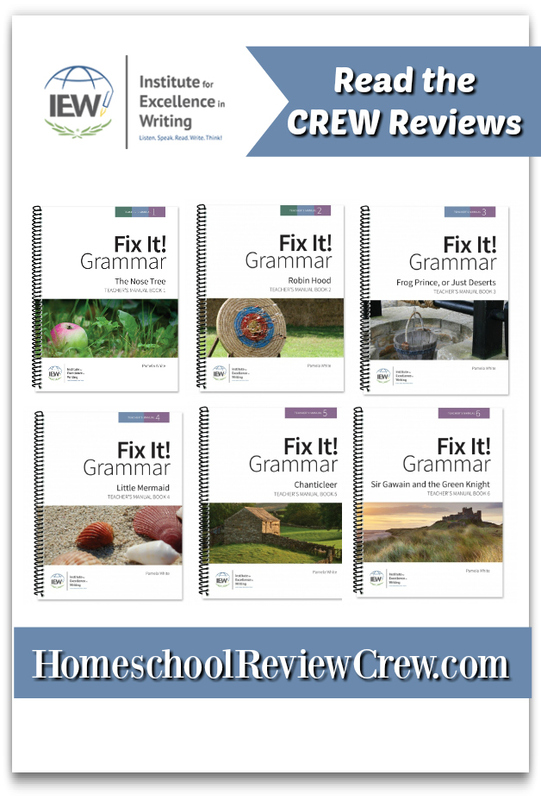 For our review, we were able to complete four weeks of lessons. The idea behind this is the student(s) hunt and correct errors in the daily passages that will cumulatively tell a complete story. Identifying parts of speech: nouns, articles, pronouns, verbs, helping verbs, adjectives, -ly adverbs, prepositions, coordinating conjunctions, clause starters. Choosing the correct homophone or usage. Understanding basic rules for capitalization and indentation. 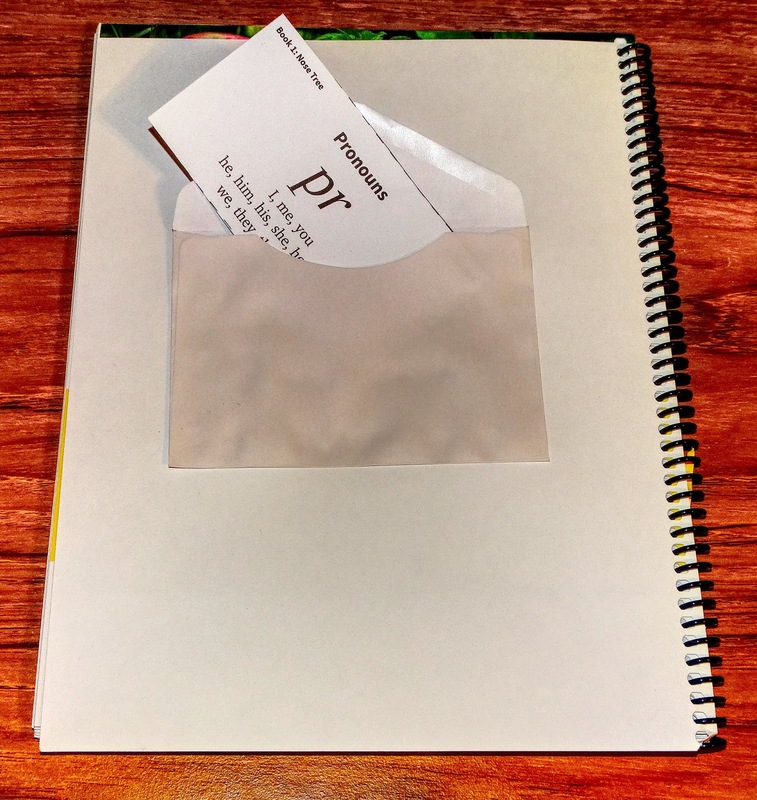 We glued an envelope to the inside cover to hold the grammar cards to avoid losing them. 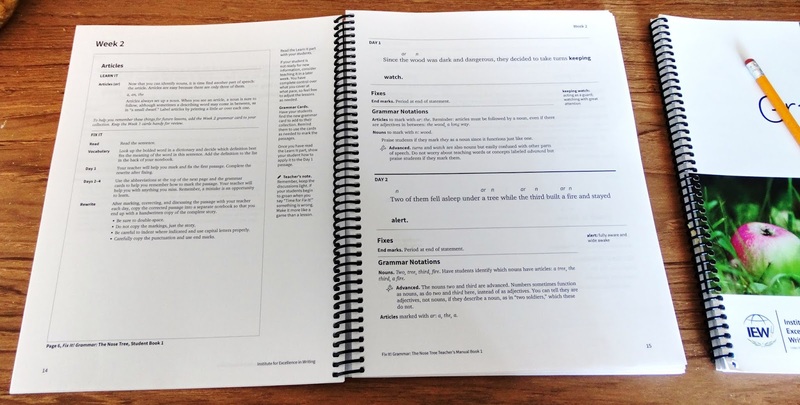 Both the Teacher's Manual and the Student's Book have a glossary that is designed to provide a refresher or a reference for specific rules. Beginning was WAY easier than I had expected. Since IEW allows for reproductions of the pages, I was able to teach both of my girls even though it was review material somewhat for my older one. I love that it's so easy to use and since it's short in duration relative to the amount of time required, I get no resistance. The concepts taught are ones they will utilize throughout life and are really essential. Week 1 - Day 1: This lesson took a little longer since it was the introduction and organization of the material. We read through the Learn It section, cut out and reviewed the grammar cards that were in the back of the Student Book, and read the sentence. I also had them look up the words in bold in a dictionary. We then marked and fixed the first passage and errors resulted in an explanation as to why it was wrong followed by a rewrite. Week 1 - Days 2 - 4 - my girls had to use the abbreviations at the top of the page to mark the passages. The grammar cards are helpful if they forget as well. I had them go through the grammar cards daily if they needed the practice. Every day, they had to also rewrite the passages in the correct way after we reviewed each one. The rewrite ensures they utilize proper indentation, punctuation and grammar. Here is how we progressed to Week 4 and notice that the lessons start to get more robust with the marking of the passage and how each lesson also repeats the markings, so the students become more aware with how each word is used whether a noun, pronoun, verb, etc. We have not made it to week 33 but I wanted to provide a glimpse into what it looks like. The markings increase and by this time, the student will really have a firm understanding what a preposition, adjective, noun, and so forth are. I really liked the concept of having students edit their own work to learn. About 15 years ago when I was helping my daughter with her public-school writing assignments, I would review what she wrote and provided feedback to help her rewrite her papers. I found that having her eventually move into the practice of editing her own work, it created a more profound ability to remember mistakes while creating a very talented writer. 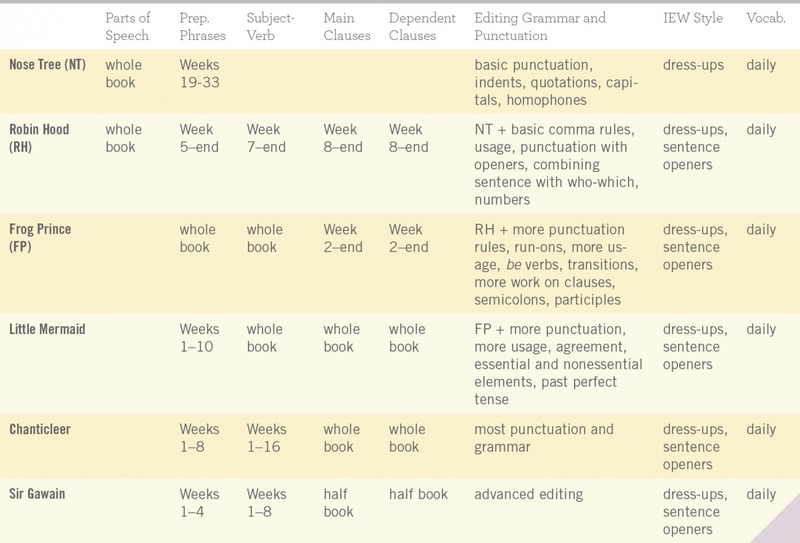 Being able to teach them how to incorporate usage, punctuation mark placement and grammar is very critical to starting a firm foundation for future careers. This is a very good program in teaching what is normally boring or tedious. I recommend Fix It! 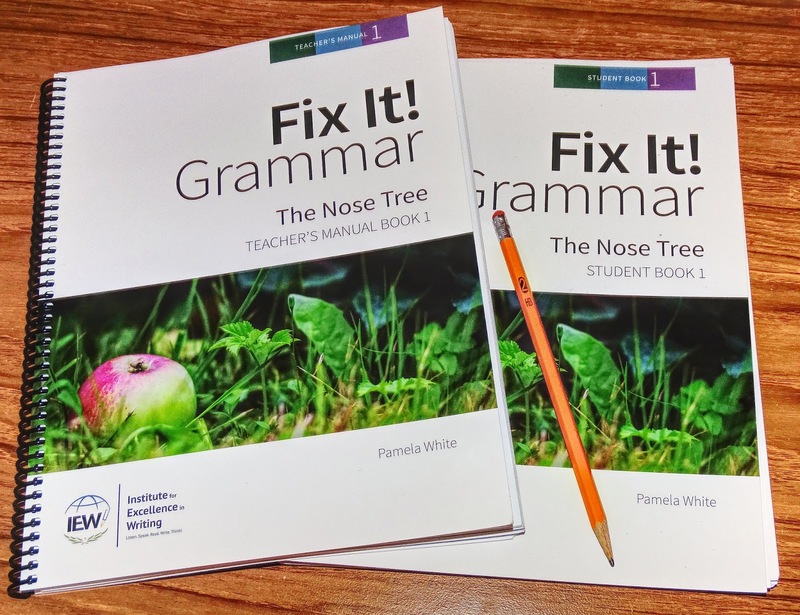 Grammar by Institute for Excellence in Writing (IEW) and will look forward to moving on to Book 2 when we complete Book 1. Follow Institute for Excellence in Writing (IEW) on Facebook, Twitter, Pinterest, YouTube and Instagram to stay up to date on the latest and more!